The BBC has revealed the figures showing the number of people consuming Olympics news across four platforms: desktop, tablet, mobile and television. 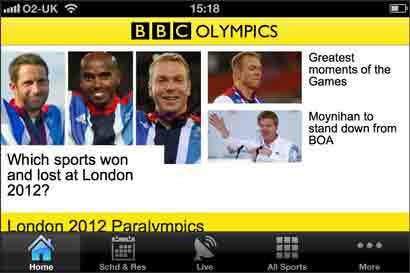 The BBC Internet blog reports that the broadcaster saw 9.2 million browsers to its mobile site and iPhone and Android Olympics app over the course of the Games. The post also reveals the BBC clocked up more than 2.3 million browsers using tablets. Consumption of video content on mobile has been perhaps the key takeaway from the two weeks: we saw 12 million requests for video on mobile across the whole of the Games. 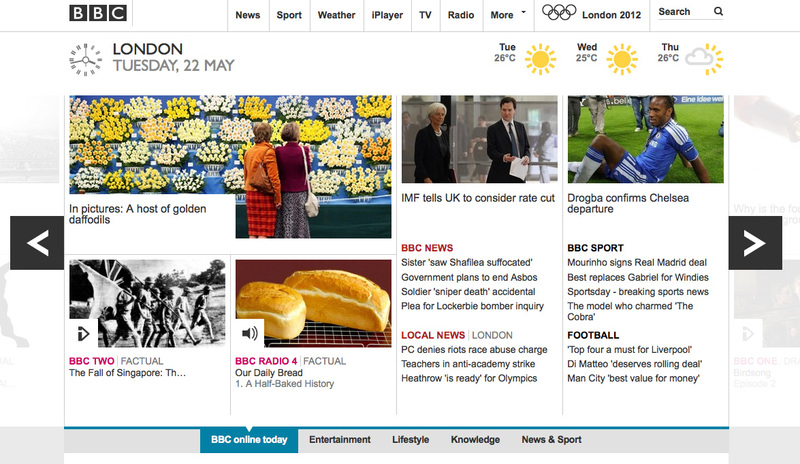 Overall the broadcaster had “106 million requests for BBC Olympic video content across all online platforms”. The blog post has several interesting graphics, including one to demonstrate how people used each of the four platforms at different times of the day. The blog also reports that the video “chapter-marking feature, enabling audiences to go back to key event moments instantly, received an average 1.5 million clicks per day. The chapter marker for Bolt’s 100m final win was clicked on more than 13,000 times”. The most-watched livestream of the Games was the tennis singles finals. There were 820,000 requests for live video of the matches that saw Serena Williams and Andy Murray take gold. The peak audiences for Team GB’s medal moments were bigger than anything we’ve ever seen. Over a 24 hour period on the busiest Olympic days, Olympic traffic to bbc.co.uk exceeded that for the entire BBC coverage of FIFA World Cup 2010 games. On the busiest day, the BBC delivered 2.8 petabytes, with the peak traffic moment occurring when Bradley Wiggins won gold and we shifted 700 Gb/s. This entry was posted in Broadcasting, Traffic and tagged BBC, Mobile, olympics journalism, online video on August 13, 2012 by Sarah Marshall. In a press release issued yesterday the BBC announced the latest traffic statistics for BBC.com, which was said to have recorded 15 million unique users across Europe in the first quarter of the year. Figures relating to accessing BBC news on mobile devices were also reported, with visits of “around 8.5 million users” across the world visiting the BBC News websites and apps on mobiles or tablets “in an average month”. This entry was posted in Online Journalism, Traffic and tagged BBC, Broadcast, Mobile, online traffic, tablet on May 22, 2012 by Rachel Bartlett. The Guardian’s Facebook app has been downloaded eight million times since it was launched six months ago, seeing around 40,000 downloads a day. Speaking at the Guardian Changing Media Summit, Tanya Cordrey, director of digital development at Guardian News and Media, said the news outlet has been “blown away by the results”. The “frictionless sharing” app works by readers opting in to share all articles they read with their Facebook friends, generating more traffic for the news site with “no editorial curation”. She later explained that the Guardian has generated more money through ad revenue from the app than the news organisation spent on building it. Six months ago Google provided 40 per cent of the Guardian’s traffic. 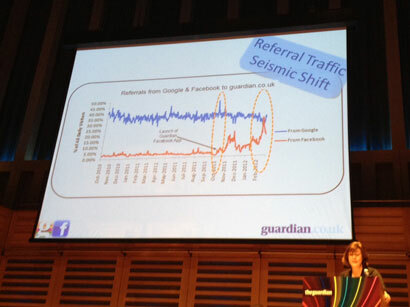 The launch of the Facebook app resulted in a “seismic shift” with social exceeding search as a driver on several occasions in February (see above photograph). It’s only a matter of time until social overtakes search for the Guardian. She said that the audience becomes more global everyday, providing “an amazing opportunity to learn about this new audience”. Readers are in “habitual grazing mode”, Cordrey said, traffic peaking in “the middle of the afternoon”. Addressing those who believe the app has implications for privacy, Cordrey said “we are acutely aware of the critics” but readers are not being driven away or removing content they have read from their Facebook timeline. “Once people have it, they use it,” Cordrey said, explaining “only a tiny percentage of people” have taken up the option of hiding their reading habits. Earlier in the day Karla Geci, strategic partner development for Facebook said that it would be “just weird and awkward to read a whole article inside of Facebook”, saying Facebook’s role is enabling “distribution and discovery” rather than taking traffic away from publishers. People are quite interested in being an influencer in their circles. Sharing what you are reading is something you did any way. This entry was posted in Search, Social media and blogging, Traffic and tagged Facebook, Guardian Changing Media Summit, social media, The Guardian on March 21, 2012 by Sarah Marshall. The Huffington Post UK has clocked up 20,000 users of its Facebook app. The social reader app was added to all pages of the UK site a fortnight ago. It follows the launch of the Guardian and Independent’s Facebook apps, released in September. The Huffington Post has opted for an Independent-style Facebook app, which sits within the Huffington Post UK site rather than encouraging readers to access stories within Facebook, as favoured by the Guardian. 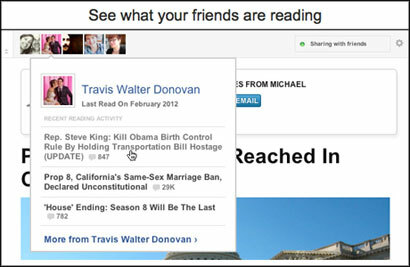 Those who sign up for the app and agree to share some of their Facebook details will see their reading habits shared with their Facebook friends. Carla Buzasi, editor-in-chief of the Huffington Post UK told Journalism.co.uk that there is an option to opt out. Every time you are on a story and you don’t want that to be shared there’s a delay and you can click and stop it sharing. The Huffington Post, which launched a UK edition on 6 July, hopes that the app will increase traffic to the UK site, which reported 5.4 million unique views in January. We’re obviously monitoring it quite carefully. It’s a little bit to early to say at the moment but Facebook does send us a significant amount of traffic already. This entry was posted in Social media and blogging, Traffic and tagged Carla Buzasi, facebook apps, Huffington Post UK, The Huffington Post on March 13, 2012 by Sarah Marshall. This entry was posted in About us, Traffic and tagged most-read stories on Journalism.co.uk on February 24, 2012 by Rachel Bartlett. 2. App of the week for journalists – iSaidWhat? This entry was posted in About us, Traffic and tagged most-read stories on Journalism.co.uk on January 6, 2012 by Sarah Marshall. 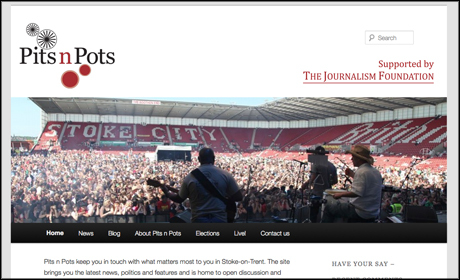 This entry was posted in About us, Traffic and tagged most-read stories on Journalism.co.uk on December 23, 2011 by Sarah Marshall. After putting together some lists of the top 10 Twitter news stories of 2011, the top 10 Facebook news stories of 2011 and Journalism.co.uk’s top 10 stories on Facebook in 2011, we’ve compiled a list of the most tweeted Journalism.co.uk news stories and blog posts of the year. Data was gathered using Searchmetrics. This entry was posted in About us, Traffic and tagged Twitter on December 23, 2011 by Sarah Marshall. 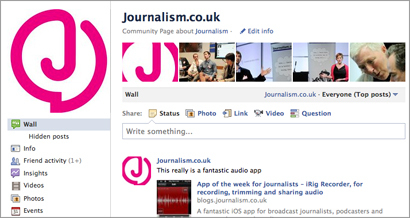 After taking a look at the top 10 Facebook news stories of 2011 and the top 10 Twitter news stories of 2011, we’ve compiled a list of the most shared, liked and commented on Journalism.co.uk news stories and blog posts published in 2011. This entry was posted in About us, Lists, Traffic and tagged Facebook, top stories, Traffic on December 23, 2011 by Sarah Marshall.